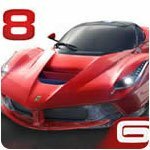 Racing and Driving Game Downloads - Play 25 Free Racing Games! 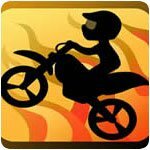 Perform Daring Leaps, Flips and Stunts as You Race to the Finish! Put the Pedal to the Metal in this Globe-Trotting Truck Expedition! 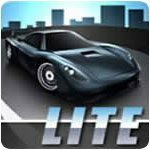 Classic arcade action with revamped 'Light Cycle' battles. No matter what type of racing you like, it's here! Drive a getaway car through city streets! Rake in the dough with your fully tuned-up performance car! Light cycle racing based on the classic movie TRON! 1960s Grand Prix auto racing at its best! Like Spy Hunter, drive fast & shoot well! 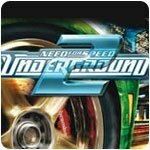 Enter the world of underground street racing! Race as one of your favorite Nicktoons characters! Perfect your racing skills and make it to Knoxville! 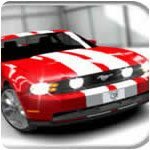 Create your own custom car to race on the streets! Master death defying stunts for fame and glory! Do you dare to attempt this crazy racing game? 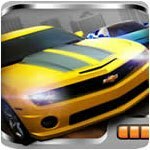 Awesome rally car racing and tons of upgrades for your car. What are Racing & Driving Games? Racing video games give the player an opportunity to compete against other vehicles of the same type in a behind-the-wheel scenario or to compete against themselves and the clock in a timed race. 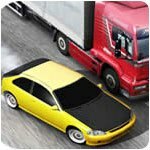 The game varieties range from cars, trucks and ATVs to boats and even airplanes and include real-looking backgrounds to fantasy settings.There are five common categories to car racing games: arcade style, simulation racing, rally car, street racing and NASCAR. Arcade style racing games differ from real driving in a few ways. In arcade-style racing, taking turns at high speeds is encouraged, while simulation racing games require the player to slow down for curves and turns, like driving in real life. Collisions tend to be more graphic and exaggerated and tend to focus on the racing experience, rather than real life details. Usually, however an arcade style racing game gives the player a steering wheel, a gas pedal and puts them inside the physical box of the game, lending to the impression the player is inside a vehicle. 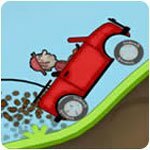 The typical behavior of a vehicle determines how a game works in simulation racing. This type of game is typically targeted toward people with higher levels of racing skill, as precision and technique are beneficial in simulations. A racing series with many games based on its characteristics is the Formula One World Championship, which has cars racing at high speeds on specially built tracks and sometimes on former streets or roadways that have been closed and transformed into tracks.These games also are played with a controller held in the hand or by using buttons on a keyboard, rather than an actual steering wheel put into use. In some instances, a joystick is optional. 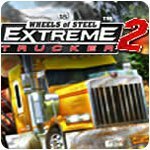 Rally car racing games take the player off-road, using specially modified vehicles that include turbos for increased speed and varied terrain settings. NASCAR, the first version of which was released in 1994, puts the player behind the wheel of a vehicle similar to those used on the Sprint Cup circuit. At the high end of the limit for PCs at that time, the game was the first to have more realistic looking cars, as opposed to squared off imitations. With drafting incorporated into the mechanics of this game, it opened up the genre and drew in more enthusiasts. The game also introduced the concept of online racing. The original game offered 25 of the 40 drivers in the circuit for the player’s character and allowed the choice of nine of the tracks on the circuit. An expansion pack was released in 1995 that added seven additional tracks to the option list. Two of the most popular tracks on the circuit, Daytona and Indianapolis, were never offered as options for the simulation game’s race location. The original racing game is considered to be Gran Trak 10, created for the arcade by Atari and released in 1974. However, that game did not include competition with others. Rather, the racer got points by beating the clock. 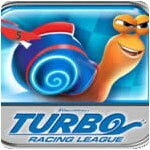 Since that game’s release, too many versions of racing games to name have been created. Various aspects have been expanded on the games, including the feature to race other computer-generated vehicles, to race against another player in person and even in today’s games to race someone online. Newer games also give the player various points of view: from inside the car, a road view or even a map view to show the racer where they are overall on the track. Not to mention the multiple modifications available for the vehicle and the different venues players can choose to race on. 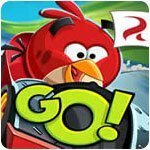 Along the way, however, several notable games have set new standards for the racing game genre. Pole Position, released in 1982 by Namco, is considered the forerunner of today’s variety of games. Players could race against computer-generated opponents and was the first game based on an actual racing circuit. The game considered the pioneer in simulation racing was REVS, released in 1986. The game was better received in England than it was in the United States. Based on Formula 3 racing. OutRun, a game released in 1986 by Sega, added more options for the player. The arcade-style racing adventure included a moving cabinet, a choice of soundtrack and the route to be traveled and was a huge hit with the racing crowd. The game, however, was considered a “driving” game, not a racing game. rFactor was a simulation game released in 2005 by Image Space Incorporated. The game had the goal of being the most accurate simulation game of its time and included new advances in aerodynamics and tire modelling. The game also had a special version developed for business purposes, to be used in event simulators or for promotions. The first of many “free-roam” games was released in 2000. The game, called Midnight Madness, allowed the player to choose where to go throughout several actual cities, including London. The game was the first to allow drivers outside pre-set tracks in simulated real-life environments. Today, multiple versions of these games exist. 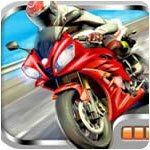 Anyone who enjoys the thrill of speed and time constraints or wishes to be their favorite racing hero would be interested in this genre of games. The player is interested in being put behind the wheel without the real-life consequences or price tag, all in the name of fun.